Alberta could be on track to break — or at least tie — a rather alarming record, with an average of two people in the province dying each day from opioids. In the first six months of 2018, 355 people died from apparent accidental opioid overdoses, according to Alberta Health. Last year, 687 people died from opioid overdoses, an all-time high for the province. However, the number of overdoses in the first and second quarters of 2018 dropped slightly from the previous year. Can't see the chart below? Click here to view it. Public health and addictions specialist Dr. Hakique Virani said the province is still struggling to deal with the crisis. "The pace at which we address the opioid crisis needs to be proportional to the magnitude of the crisis," he said. Safe consumption sites help, according to Virani, but the province needs more, as well as more evidence-based treatments like therapies which suppress withdrawal symptoms. He also thinks Canada's drug laws need to change. "A drug policy that looks more like Portugal's and other European countries where people are not prosecuted for possessing substances, but if they are found to have a substance abuse problem they are provided help — so looking at this through a public health lens instead of a criminal lens," he said. 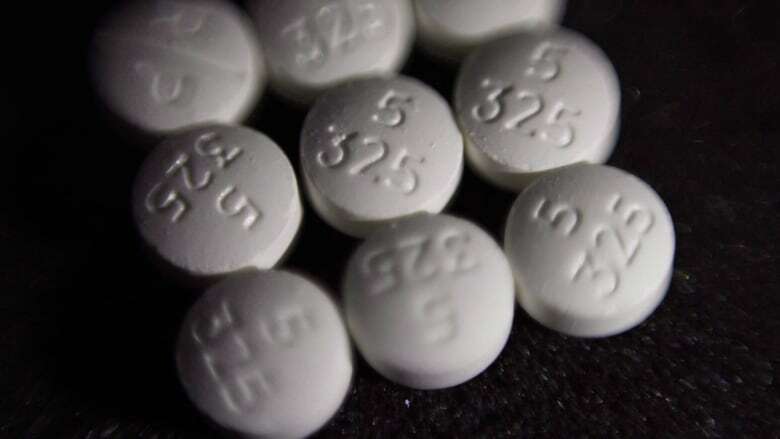 Alberta Health said among all drug and alcohol poisoning death, opioids were directly involved in 78 per cent, and the majority of deaths — 86 per cent — occurred in cities. 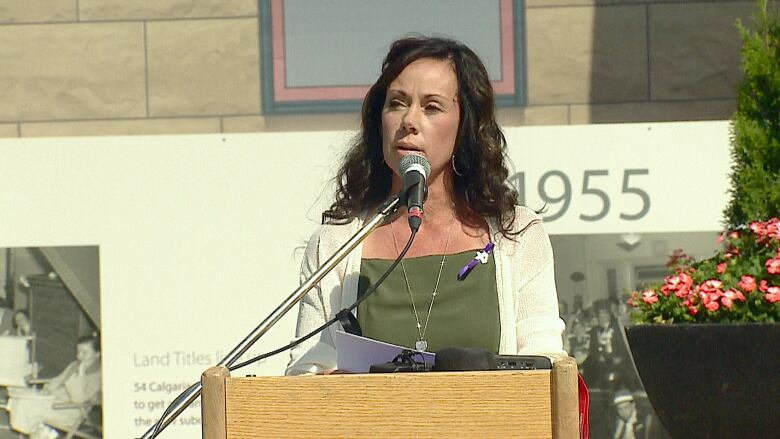 At a rally in downtown Calgary for Opioid Awareness Day on Friday, Kelly Blaine described how her life has been impacted by the opioid crisis. She lost one of her identical twin sons. Jamie and Jordan shared the same friends and interests, but the one difference between them was that only Jamie struggled with addiction, Blaine said. He was only 25 when he died of fentanyl poisoning in May. "Due to a broken scaphoid as a child, he also had to endure four bone grafts, for which he was given IV fentanyl," she said. "Jamie's death was not caused by a lack of willpower, morals, values or willingness, and it was preventable." Blaine and others at the event called for an end to stigma and shame around addiction.